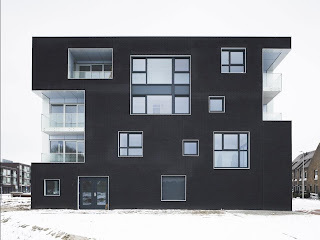 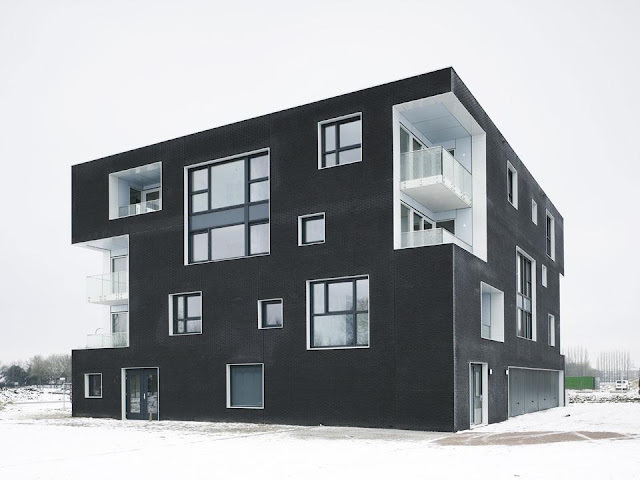 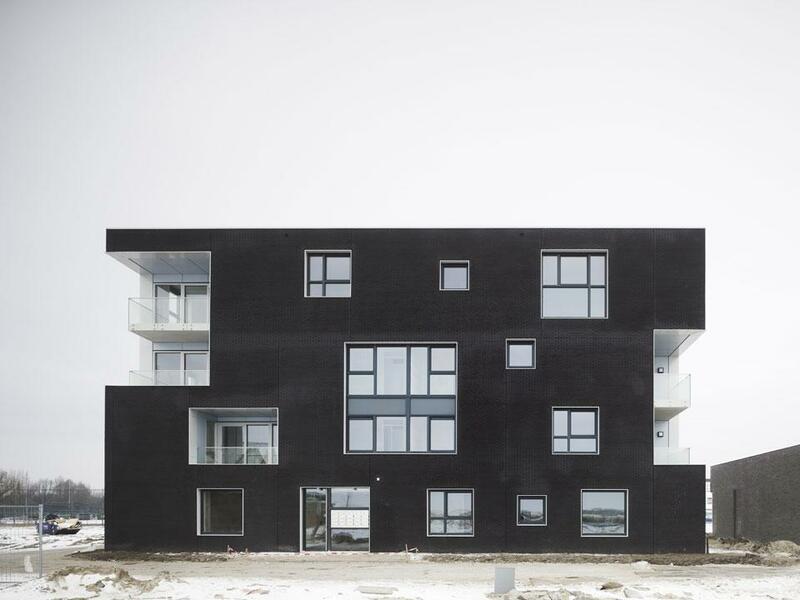 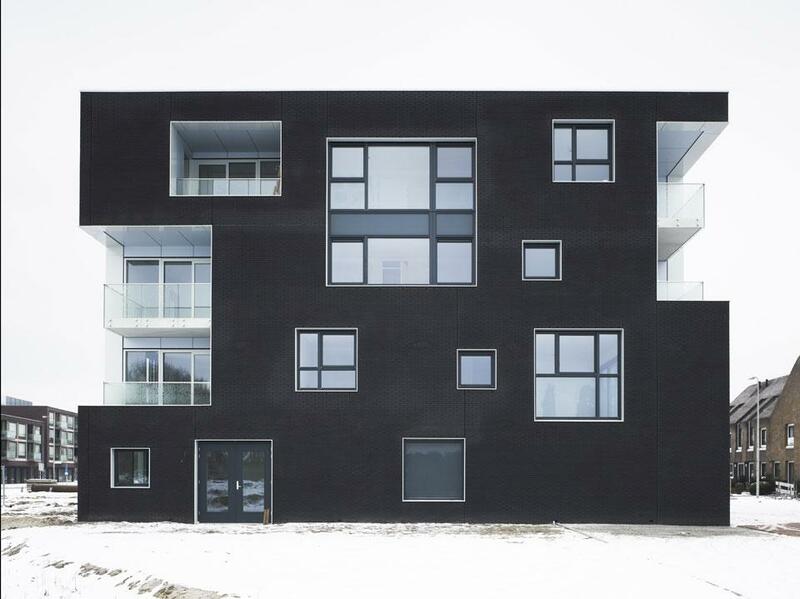 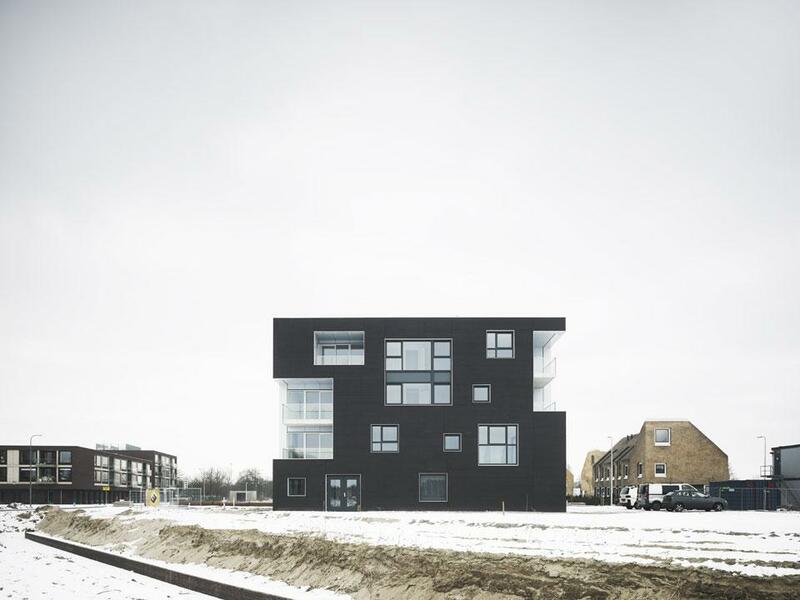 The project "Black and White Twins" experimenting with the spatial and visual integration of compact housing solutions that offer affordable apartments in the new exclusive urban development Blaricummermeent, which consists primarily of single family homes and villas. 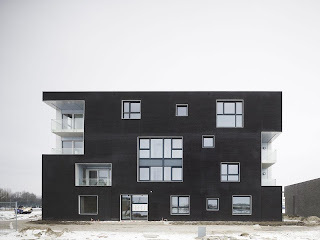 The black skin, which is perforated openings of different sizes, architectural works as an autonomous agent that is capable of building visually integrate into the scale of the urban context. 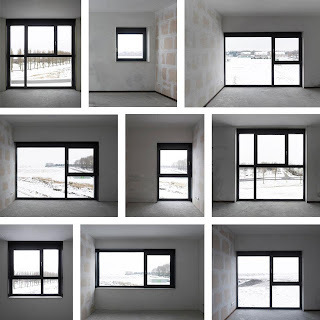 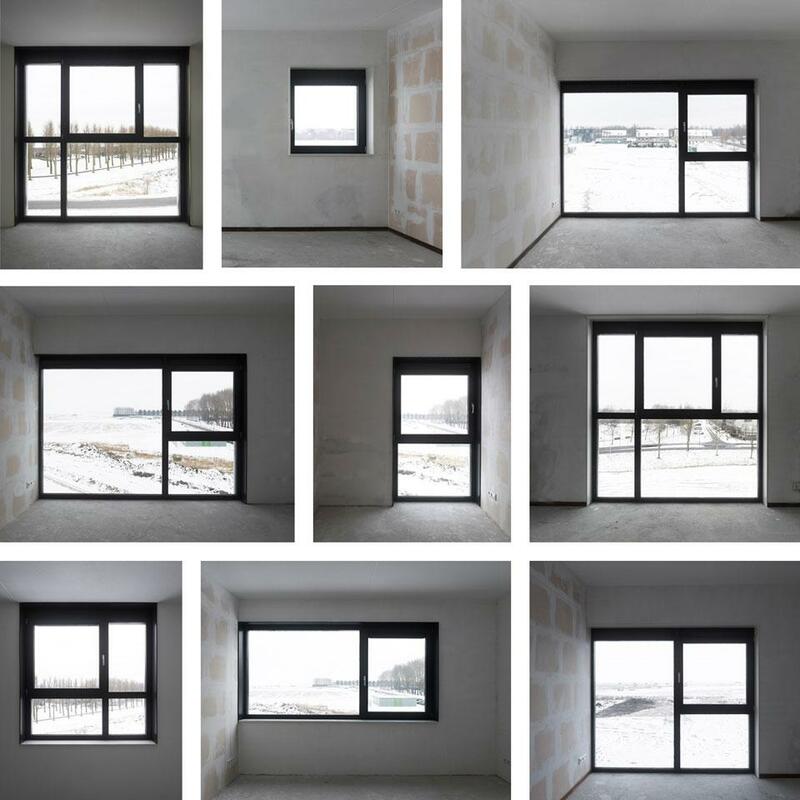 Viewed from inside, the skin works as a means to view the frames in different ways, which makes each apartment unique. 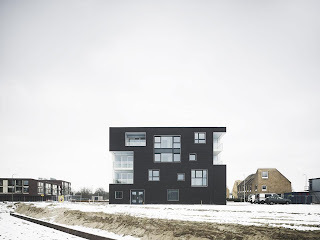 scale of its urban context and from inside works as an interface that frames in different ways the exterior views creating differentiation among the apartments.